Statute of limitations on collection: Are you unwittingly giving the IRS more time? 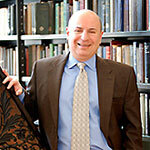 - Howard Levy is a Cincinnati tax attorney with the experience to find solutions to your IRS problems. Statute of limitations on collection: Are you unwittingly giving the IRS more time? The statute of limitations on collection will make most every IRS collection problem come to an end. Internal Revenue Code 6502 puts a limit on how long the IRS can pursue the collection of a tax debt. The timeframe is 10 years from when the IRS puts a liability on its books. But knowing there is an end is really just the beginning. Most sources of IRS resolution – offer in compromise, innocent spouse claim, bankruptcy, collection due process appeal – extend the time the IRS has to collect while they are pending. Be careful: Not succeeding with a plan of resolution will only make a tax problem linger. The IRS can even sue you and get a judgment that allows them to collect for more than 10 years. Before jumping in the water, it is important to make sure that the timeframe for resolution, coupled with the potential for success, is greater than the risk of extending the collection timeframe and making a tax problem linger. Think of this with a sports metaphor. We are starting on the one yard line when assessment is made, and need to take the ball all the way down the field to the goal line – 100 yards in football, 10 years on IRS. The decisions we make in between – the plays we call – affects the end result. Read my entire article on how to avoid giving the IRS more time to collect, published in the Journal of Enrolled Agents, here.